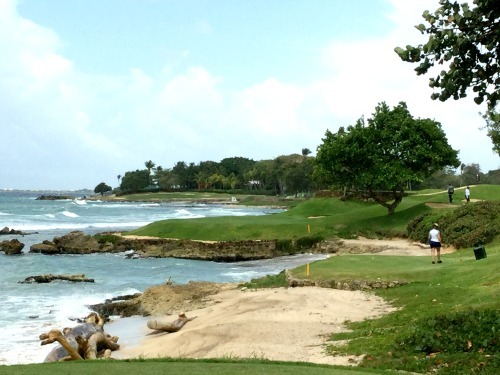 The Teeth of the Dog golf course at the Casa de Campo resort should be at the top or near the top of any golfer's bucket list. But that is just my opinion. 1. Its location, the Casa de Campo resort in La Romana Dominican Republic is first class. Everything you need for a Caribbean golf getaway is here. I stayed in one of the luxurious villas (which are available to rent) with a group of buddies, but there is also an elegant hotel as another option. Besides the golf there is also plenty of other activities, a marina, private beach, tennis courts. 2.Ranked as one of the best courses not only in the Caribbean but among the top courses in the world the course was designed by the famous golf architect Pete Dye. Playing along the ocean is an amazing feeling. 3. There are stunning holes that have will have playing right by the water's edge. These seaside holes make it really hard to focus, I have never played on so many ocean holes before. It would also be a good idea to have your camera ready. 4.This is a challenging course as well as an adrenaline rush. For example, here I was standing on the par 3 hole #7 the tees and greens jut out from the shore with not a safe place to miss. If you are short or to the left means your ball ends up in the rocks or water. So I took a deep breath, relaxed and was able to place my shot on the right corner in the back of the green. 5. The Teeth of the Dog quite simply is lots of fun to play no matter what your golf skill level might be. The fairways are narrow, lined with bunkers and waste areas which make you have to come up with some shots that will be a test of your abilities. The greens run true and are fast. That's why it is a great idea that caddies are mandatory to help you make your experience more enjoyable. Believe me the caddy will save you strokes and due to their course knowledge you will be very grateful. The course offers you just about everything you would want . Do not take for granted how the opening holes may seem to be easy. It is when you turn onto the ocean holes on the front is when the fun really begins. Don't be intimidated and enjoy the opportunity to play one of the best courses on the planet. 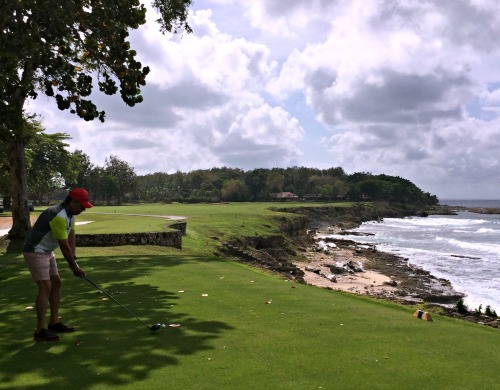 The Dominican Republic has many other great courses and the Teeth of the Dog could be its best. 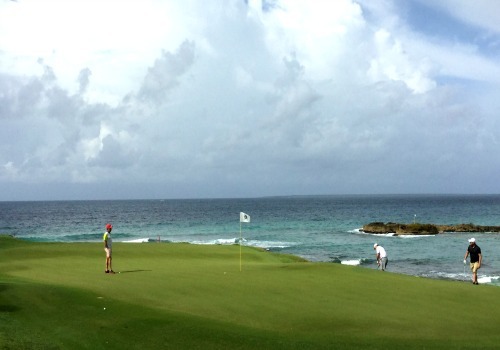 Here are some other exceptional Caribbean Golf Getaways.